Running a design and engineering firm is no easy task. Developing the best designs is what attracts customers and brings in new business. Yet, at the same time, you can’t deliver efficiently without solid BIM and CAD processes in place. It’s a Catch-22 – if you devote valuable employees to manage BIM and CAD, you have fewer resources to apply to billable work. On the other hand, if you ignore things like BIM templates and guidelines or deployment of key software updates, the team is hindered from working quickly and professionally. Day-to-day tactical assistance. For firms that don’t want to devote employee time to BIM and CAD management, IMAGINiT can provide experts to help with tasks that are essential to keeping the business going. Examples include quick answers to technical questions, content creation such as standards documentation and styles development, as well as configuration and deployment of software. Assistance for in-house BIM and CAD managers. Some firms have a BIM or CAD manager, but there’s more work than that individual can possibly handle. IMAGINiT’s experts are ready to help with strategic projects, such as evaluating BIM adoption rates in the firm, and with tactical initiatives like training employees on customizations and other high priority topics. Cost effective. Experts can be brought in part-time, rather than hiring additional full-time staff. Employees are free to focus on billable design and engineering work. Access to industry best practices. 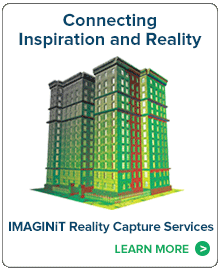 IMAGINiT’s technical services team has extensive experience with BIM and CAD in many industries and firms that hire IMAGINiT staff benefit from their extensive knowledge. Flexible. 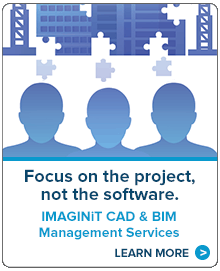 IMAGINiT’s BIM and CAD Management experts offer assistance that is tailored to customer needs. You can hire help on a permanent, part-time basis, or structure a temporary engagement.